In my practice, I use only Young Living essential oils. Diffused in the treatment room, directly on the body, and whenever needed in the water. Young living oils are the highest quality, most potent therapeutic grade essential oils available today. They have a very high quality control standard and they are involved in the manufacture process from growing the herb right through to distillation. This is their Seed to Seal promise. They have been in business for over 20 years and create a HIGH quality herbal essential oil. They are by far the BEST essential oils on the planet. ﻿﻿"At Young Living we take our stewardship of the planet and its inhabitants very seriously. 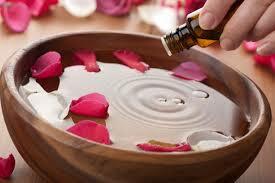 Essential oils have been used for thousands of years for their health, cosmetic, and emotionally uplifting properties. These concentrated Essential oils support us to have Vibrant THRIVING health. Essential oils are used during Reflexology sessions on the soles of the feet to correspond and enhance body systems and organs. They are also used during foot soaks at the beginning of a session. They are used on reflex points on the body. When appropriate, they can also be added to water that is infused into the body during a colon hydrotherapy session. Primarily extracted through careful steam distillation, but also through cold pressing, the purest essential oils are far more powerful and effective than dry herbs, delivering quick and effective results. 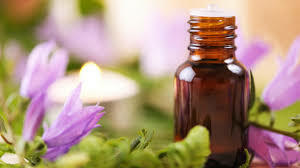 Any time you hold a bottle of powerful essential oils, you are holding the pure essence of health-promoting botanicals that can be diffused, inhaled, applied topically, incorporated into massage, or taken internally to: enhance your physical wellness, inspire a positive emotional state, purify your home, refine your skin, and create deep spiritual awareness. See our Product Shop for what oils are currently in stock. Generally, I keep a stock of Thieves oil on hand and I can order anything you may need. "So many times we live in limitation because we don't know how to dream, but if you don't dream it, you will never achieve it. If you don't see it, you will never achieve it. If you don't believe it, you will never achieve it."